My next session was a return to M78 in Orion, this time with better fortune getting it in the field of the scope. Patchy cloud eventually cleared and I obtained an untroubled set of subs after the CLs had been switched off. Transparency was a bit mediocre so I didn't get quite as deep as I hoped but the result was an improvement on my earlier attempt nonetheless. Details: 10" f4.3 Newt. 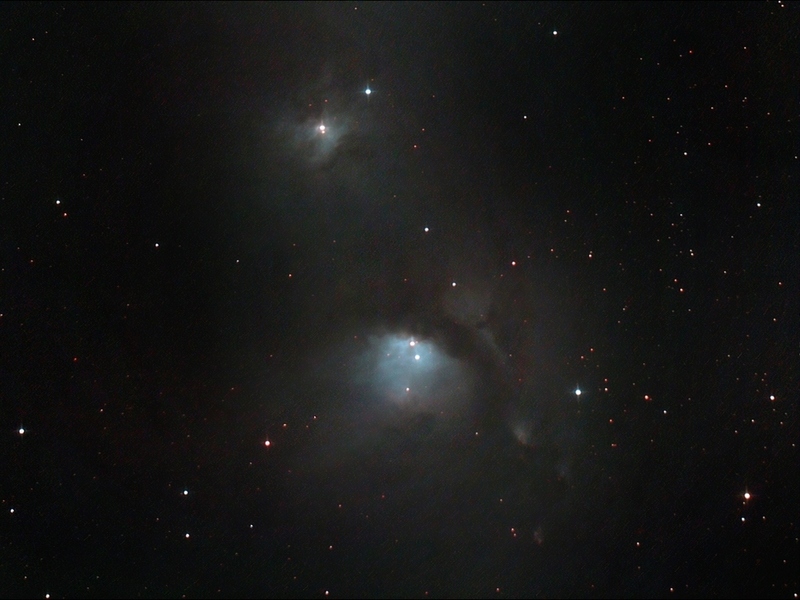 12 x 10 minute exposures @ iso1600 with CLS in DSS, FIV, CS2 & XAT.